Hello again! I hope you are all having a wonderful Wednesday! I have a cute outfit to show you all today that is just perfect for spring. I wore it while going out to lunch with my mom over the weekend. When planning my spring wardrobe, I just love to mix pastels and light neutrals. This particular jacket also looks really nice with black and navy, so it could also transition well into fall. Adding a fun light jacket is the perfect way to take an outfit full of basic pieces to the next level. This one dresses up the simplicity of my white jeans and tee. 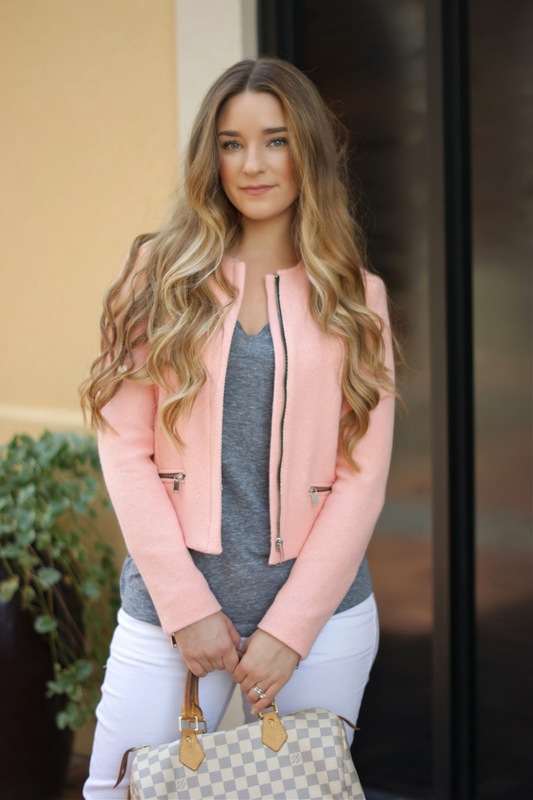 I hope you are inspired to find your own perfect spring jacket!